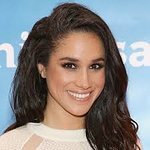 Her Royal Highness The Duchess of Sussex will become Patron of four organisations that reflect the causes and issues with which she has long been associated including the arts, access to education, support for women and animal welfare. Her Majesty The Queen has passed on two patronages to The Duchess of Sussex –The National Theatre and The Association of Commonwealth Universities. The Queen has held the roles for 45 and 33 years respectively. Her Royal Highness will also take on Patronage of two additional charities as part of her official working portfolio – Smart Works and Mayhew. The Duchess is delighted to become Patron of both national and grassroots organisations that are part of the fabric of the UK, and is very much looking forward to working with them to bring wider public attention to their causes. Her Royal Highness feels she can use her position to focus attention on, and make a particular difference to these organisations and, more widely, the sectors they each represent. For the arts, the National Theatre’s mission is to make world class theatre that is entertaining, challenging and inspiring for everyone and to be as inclusive, diverse and national as possible. In support of access to education, the Association of Commonwealth Universities is the world’s first and oldest international university network and the only accredited organisation representing higher education across all 53 Commonwealth countries. With regards to supporting women, Smart Works helps long-term unemployed and vulnerable women regain the skills, confidence and tools to succeed at job interviews, return to employment and transform their lives. In terms of animal welfare, Mayhew is a grassroots charity working in a unique way to improve the lives of animals and people to better communities both in London and internationally. Over the last year, Her Royal Highness has held meetings and conducted private visits with each of these organisations. The Duchess will today visit Smart Works and over the next few weeks will undertake public visits to the other three organisations. The Duchess is a strong believer in using the arts to bring people from different backgrounds and communities together. The National Theatre’s mission is to make world class theatre that’s entertaining, challenging and inspiring – and to make it for everyone. It aims to reach the widest possible audience and to be as inclusive, diverse and national as possible with a broad range of productions that play in London, on tour around the UK, on Broadway and across the globe. The National Theatre’s extensive UK-wide learning and participation programme supports young people’s creative education through performance and writing programmes like Connections, New Views and Let’s Play. Its major new initiative Public Acts creates extraordinary acts of theatre and community; the first Public Acts production was 2018’s Pericles. The National Theatre extends its reach through digital programmes including NT Live, which broadcasts some of the best of British theatre to over 2,500 venues in 65 countries, and the free streaming service On Demand In Schools, used by nearly 60% of UK state secondary schools. The National Theatre invests in the future of theatre by developing talent, creating bold new work and building audiences, partnering with a range of UK theatres and theatre companies. For more information, click here. Whilst Her Royal Highness spent ten years working in television, her training is in theatre. As well as a double major in theatre and international relations from Northwestern University, which is renowned for its drama programme, Her Royal Highness volunteered at a performing arts after school programme for children in underprivileged school districts in Los Angeles. As a university graduate, Her Royal Highness is a strong advocate of accessible education for all, something she spoke of most recently during her visit to Fiji last year. Established in 1913, the ACU is the world’s first and oldest international university network, with more than 500 member institutions in over 50 countries. It is the only accredited organisation representing higher education across the Commonwealth. The ACU champions higher education as a force for good in the Commonwealth and beyond. Among its key principles is the value of higher education to society – or its role ‘as a common good’ – and the conviction that this value is enhanced by international collaboration. The ACU manages international scholarship schemes – including the UK government’s three major scholarship programmes and The Queen Elizabeth Commonwealth Scholarships – that offer life-changing educational opportunities, convenes universities to address key policy challenges such as climate resilience and peace and reconciliation, and promotes the role of universities in delivering the UN Sustainable Development Goals. For more information please click here. During her recent visit to Fiji, The Duchess announced new Gender Grants for ACU member universities in the Pacific to fund new learning initiatives aimed at empowering female university staff and promoting gender equality. Her Royal Highness last month met with university leaders, academics and international scholarship students as they discussed the role of higher education in addressing issues such as human trafficking, modern slavery, gender equality, peace and reconciliation, and climate change. The Duchess has visited Smart Works several times over the last year where she has worked with many women who have benefited from the charity’s support, helping them through coaching and interview preparation. Her Royal Highness has also volunteered with several other projects in this sector in the past. Created in September 2013 Smart Works exists to help long term unemployed and vulnerable women regain the confidence they need to succeed at job interviews, return to employment and transform their lives. Half of Smart Works’ clients are from an ethnic minority, long-term unemployed and have been unsuccessful with a large number of job applications. Thanks to the charity’s support, 60% go on to get a job following their visit to Smart Works. As well as providing complete outfits of high quality clothes for job interviews, beneficiaries also have access to one-to-one interview training and the opportunity to join Smart Works Network, meeting every month to further their professional and personal development. Smart Works aims to dress 3500 women this year across their two London offices, and additional bases in key cities across the UK – Edinburgh, Manchester, Reading, Birmingham and Newcastle. For more information please click here. Her Royal Highness has also been involved with several other projects in this sector, including a project whilst at university which provided prom dresses for young women in underprivileged areas. The Duchess has a longstanding track record of working in the space of women’s empowerment both in her local community as well as abroad. In recent years, Her Royal Highness has travelled to India and Rwanda working on projects to mobilise women in challenging or marginalized situations to see their full potential. The Duchess has long understood the connection between animals and community welfare and has supported various animal rescue centres in Los Angeles. Established in 1886 and entirely funded by public donations Mayhew is an animal welfare charity working to improve the lives of dogs, cats and people in communities both in London and internationally. Mayhew looks for innovative ways to reduce the number of animals in need through pro-active community and educational initiatives and preventative veterinary care. This includes working with homelessness charities across London to ensure people and their dogs can be kept together; running a Pet Refuge programme to provide shelter and care for the pets of people in crisis for short periods of time; and educating young people about animal welfare and the importance of responsible pet ownership. Internationally, Mayhew works with governments, local communities and charitable groups in Afghanistan, Georgia, Russia and India to help improve animal welfare. For more information please click here. 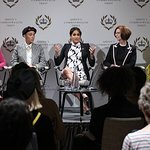 The Duchess of Sussex is very much looking forward to working closely with these organisations, and her continued work with The Royal Foundation of which she is joint Patron along with The Duke and Duchess of Cambridge and The Duke of Sussex. Rufus Norris, Director of the National Theatre said: “I would like to thank The Queen for Her Majesty’s long and unwavering support and service to the National Theatre. We were honoured when The Queen became our Patron in 1974 and have celebrated many moments together including, in recent years, the Diamond Jubilee and the marking of our 50th anniversary. It is a privilege to welcome The Duchess of Sussex as our new Patron. The Duchess shares our deeply-held conviction that theatre has the power to bring together people from all communities and walks of life. I very much look forward to working closely with Her Royal Highness in the years to come”.